When writing player comments for the Baseball Prospectus Annual, as Nick Schaefer and I did for the White Sox a year ago, the first step in the process is submitting a list of players. The list runs deep — the one Nick and I submitted a year ago included about 75 players — accounting for every player on the 40-man roster, every relevant prospect, as well as an oddball or two, maybe relevant veterans hanging around in Triple-A (think, Chris Volstad) or a non-prospect whose name is still known by fans (think, Courtney Hawkins). The deadlines are early, which makes sense because building a whole book, hundreds of pages long, from scratch in just the months from the end of one season to the beginning of the next, is tough work. We had to have the list submitted to our editors by the middle of September. This is relevant to this article for one reason: When Nick and I built our list and prepared to submit it, it didn’t include Jace Fry. At the beginning of September 2017, we found 75 White Sox players worth writing about, and Fry was so far off our radar that he didn’t merit inclusion. He found his way in the book only after a last-second addition following his surprising promotion and major league debut on Sept. 7. Fry was the White Sox best reliever in 2018. Fry’s transformation from fringe starting pitcher prospect to high-leverage reliever came on the heels of two Tommy John surgeries, the most recent in 2016. His surprising promotion and ascent to a major league bullpen this year is thanks in part to the continuously growing bullpens and even more to his ability to be Death To Lefties. It’s that second part that’s worth examining further, because while relievers who can come in and blow mid-90s stuff past past hitters with the platoon advantage have become a dime a dozen nowadays. But as Fry continued to gain more trust from the White Sox coaching staff, he wasn’t used like a traditional LOOGY, and that’s because his deep repertoire of offerings has made him successful against right-handed hitters, even if the numbers against left-handed hitters still far outweigh it. 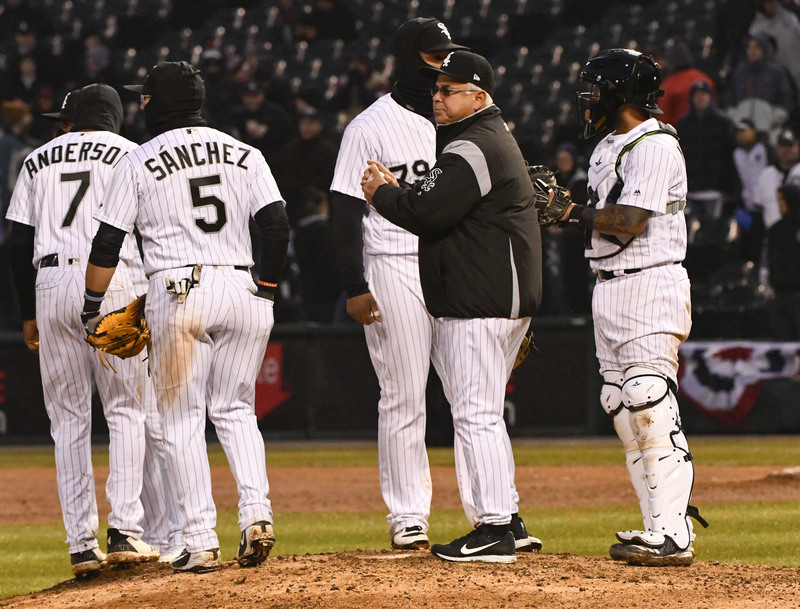 Fry was the White Sox most used high-leverage reliever, particularly late in the season when Joakim Soria, Luis Avilan, and Xavier Cedeno were sent out of town. He finished the year with an unimpressive 4.38 ERA, which speaks more to the high usage and learning curve against righties than his true talent level. Among qualified relievers, he had the 16th best K rate and 10th best FIP. The nine players who ranked ahead of him in the latter stat all had ERAs that begin with the numbers 2, 1, or 0 (hello, Blake Treinen). All of this is to say that Fry was really good, and combined with Ian Hamilton, Ryan Burr, Caleb Frare, and maybe Aaron Bummer, the White Sox have built a surprisingly solid stable of young and cheap relievers not long after jettisoning every veteran reliever with value during the last 16 or so months. Fry’s ascent gives the White Sox another closing option and a valuable bullpen option as they hope to transition into contenders over the next few years. Not bad for a guy so far off the radar a year ago that he hardly warranted inclusion in the Annual.